Hello! Happy Friday! Today is SVG Cutting Files challenge day! 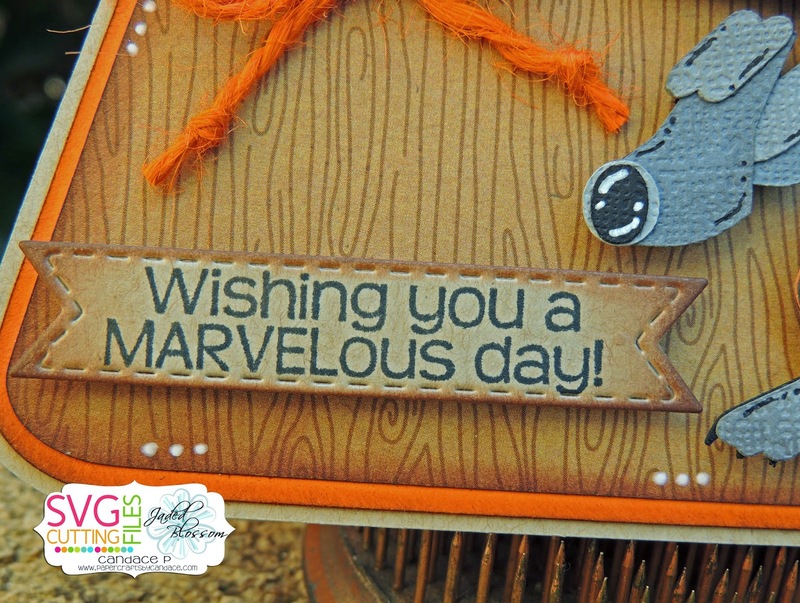 This months challenge is to create anything using Fall Colors. 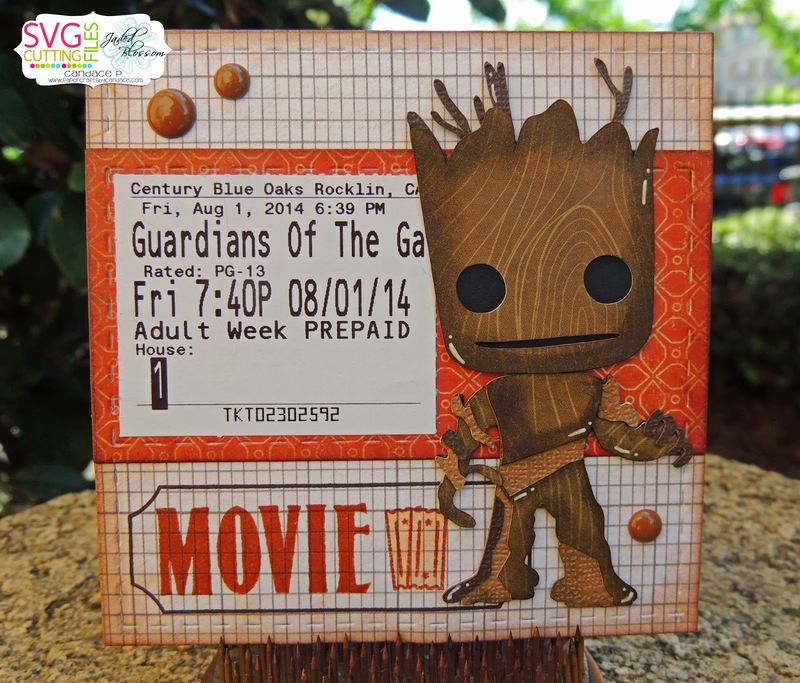 Have you seen the new movie Guardians of the Galaxy? 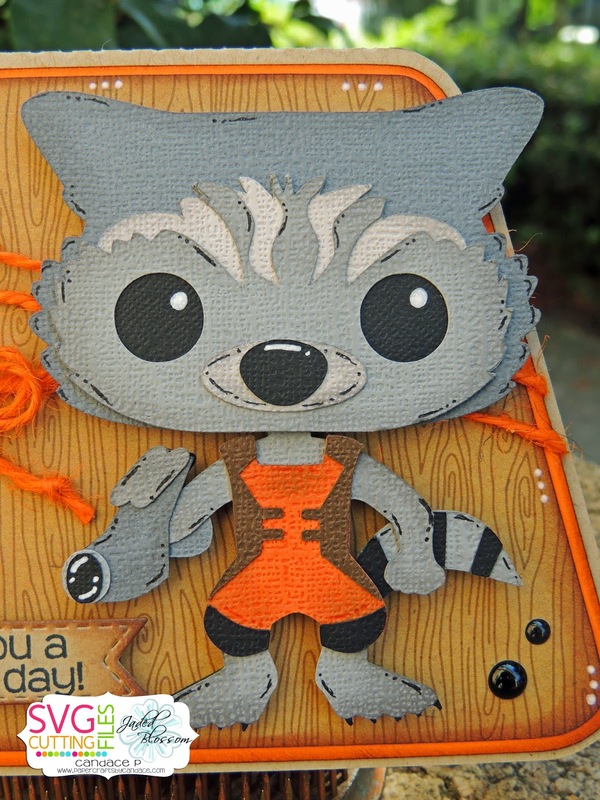 First of all its awesome.. second I decided to make projects using Rocket and Groot! Both of these BFF's are FREE SVGs for you! All you have to do is enter the SVG Cutting Files monthly challenge! 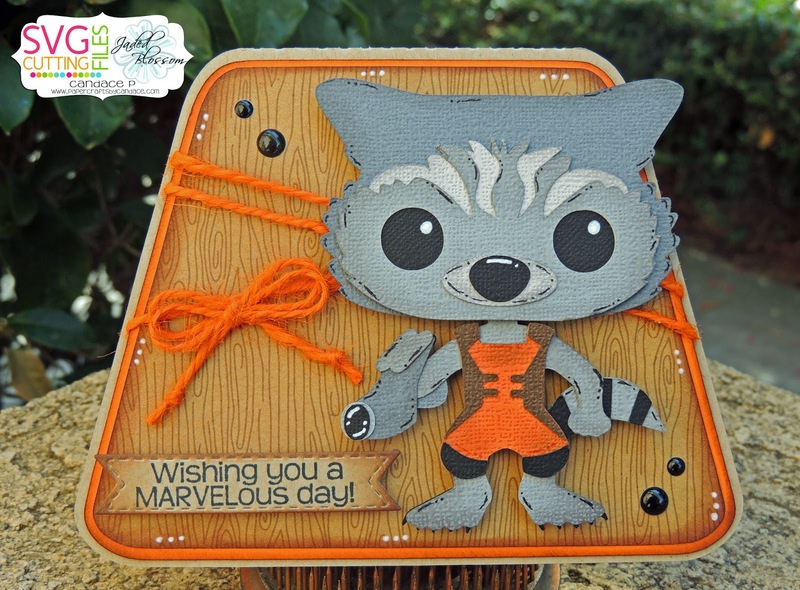 Check out the details here..
For my Rocket Card I used Jaded Blossom's Superhero stamp set and Mini Tag Dies 2. 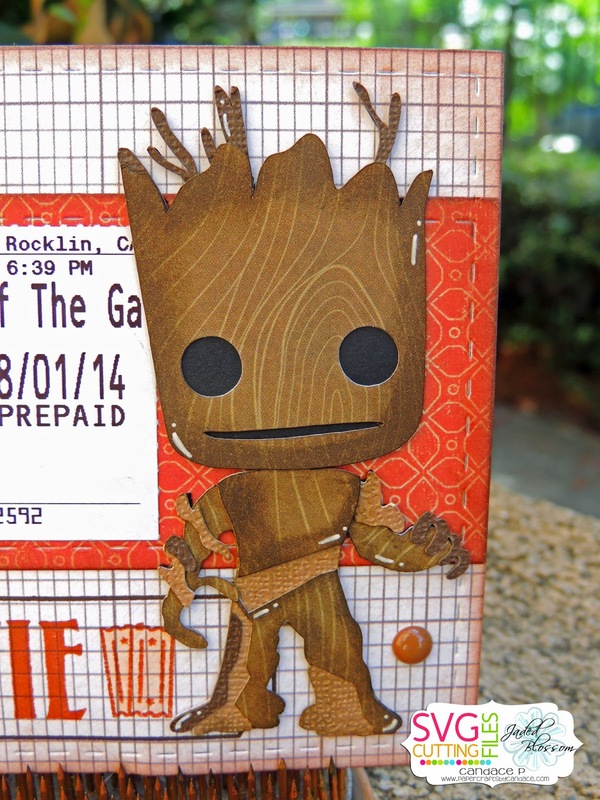 And here is Groot! I started a 4x4 mini project life album. 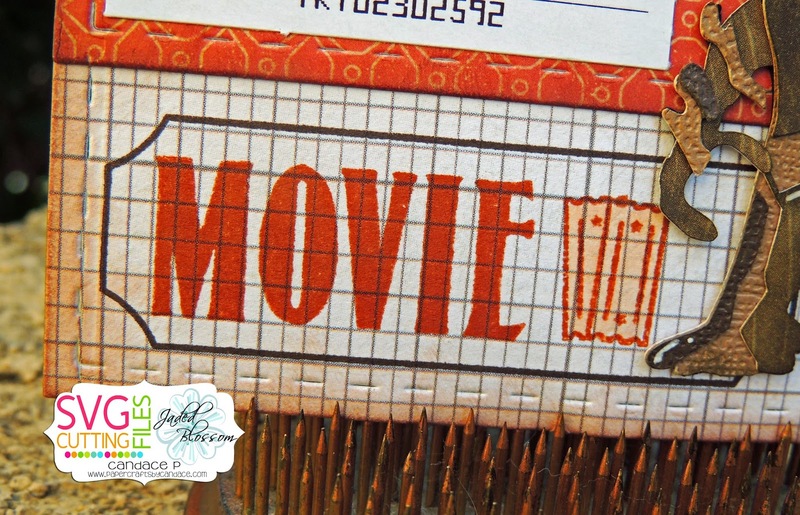 I save all my movie ticket stubs and I am going to start making small pages for all of them. I used JB's Card Mat Dies, Theme Park Candies, Ticket Book and Ticket Book Add On 2. And a close up of my sentiment.. MARVELous cards! What brand of paper is the woodgrain? I love it and am addicted! These are great! You inspire me to create more for my son!